Unlike the other three seasons of the year, winter presents some unique driving challenges. The temperature drops, and more precipitation falls, creating a very slick surface. Winds pick-up pace, and once snowfalls the roads can be a nightmare. Pickup trucks are built for a more broad scope of terrain than typical cars and often handle the tricky winter weather better. Pickup trucks can also be very useful for towing equipment, like a snowmobile, or can even be installed with a snowplow so you can help your neighbors emerge from the fluffy abyss. Check out Quirk Pre-Owned, one of the leading used car dealers near Boston, to find a used truck so you can make the most out of the season. Used pickup trucks are a great way to optimize the seasons driving without blowing your holiday budget. 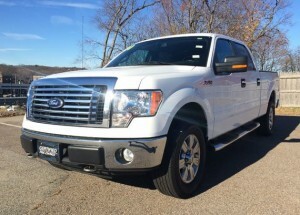 We offer a large selection of pickup trucks for great deals, making this season affordable. While the winter is usually thought of as a source of driving irritation, it can actually be a really fun experience; all it takes is the right vehicle and the right parts. Choosing a pickup truck maximizes your options for activities beyond the road. Towing and carrying cargo becomes much easier, so you can take your snowmobile wherever you go and create an adventure out of any back road or field. It gives you a wider range of terrain possibilities allowing you to go even farther off the beaten path. Those snow-days spent playing the snow are among those priceless childhood memories that we all cherish; that fun never has to end if you drive a pickup. A pickup truck also gives you opportunity to be the neighborhood hero after a blizzard. Trucks are easily adaptable to become a snowplow, so you can dig yourself, and others, out quicker. Find a used truck that will make the winter season less of a hassle without depleting your wallet from Quirk Pre-Owned, one of the leading Boston area used car dealers. Visit us for a test-drive today!